Often times, we find that patients experiencing jaw pain in the temporomandibular joint (TMJ) is usually a result of damage to the joint itself. In fact, most people do not realize that any trauma to the head, neck or jaw can lead to TMJ pain or complete dysfunction. If you’ve suffered from a sports accident, or have been in an auto accident, or if you have the habit of gum chewing, teeth clenching, nail biting, sleep grinding, and even holding the phone between your ear and shoulder, it’s possible you could be suffering from TMJ. The symptoms of TMJ are individualized depending on each and every person alone, and can affect one or both joints. The most common TMJ disorder symptoms you will notice are the clicking or popping sounds or feelings of the joint, pain at rest or when chewing, locking of the jaw, unexplained toothaches, headaches, earaches, ringing in the ears, clogged or stuffy ears, and face or neck pain. If your TMJ symptoms are left untreated, typically it will almost always get worse over time as the TMJ suffers further pain and damage, causing the symptoms to worsen over time. Upper Cervical Chiropractic Adjustments and other treatments provided by your Doctor of Chiropractic addresses TMJ pain and dysfunction. The upper two bones of the spine allow your head to pivot in the correct directions. Unfortunately for many people, these bones can be pulled or knocked out of alignment, and will end up restricting movement and pulling the surrounding muscles, especially the ones that connect your jaw to your skull (your TMJ). Typically, neck problems are most commonly the cause of TMJ problems, which is why you often must address your upper cervical issues first or simultaneously with Chiropractic Care. In addition, upper cervical issues can lead to irritation of the tissues that surround your brain stem. This can unfortunately cause a significant amount of other problems, including digestion disorders and muscle pains all over the body. The bottom line is that your body is an intricately connected system, and one bad thing can negatively affect your overall health (including your TMJ function). 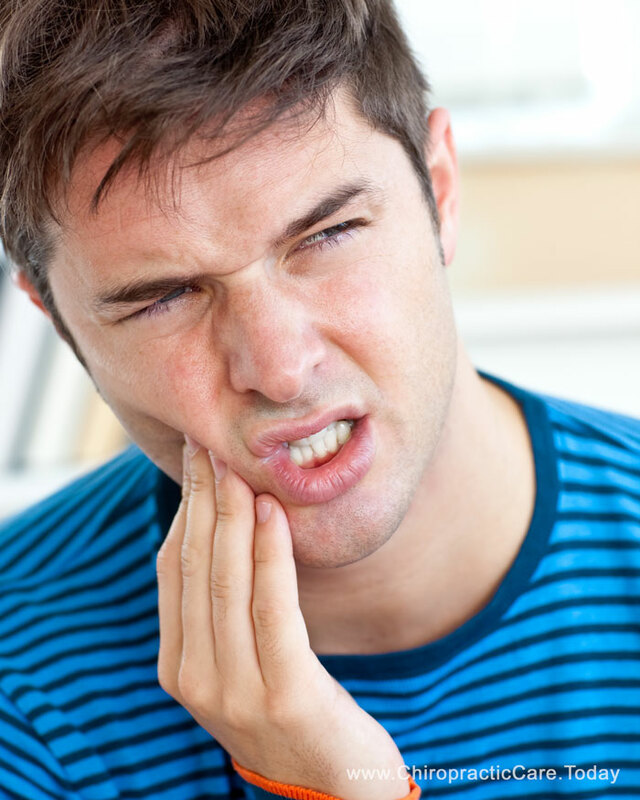 Are you suffering with TMJ and don’t know what step to take? Treatment with your Doctor of Chiropractic is simple, painless, and scientifically grounded. Your Doctor of Chiropractic can take an alternative approach to the crack, pop or head-twist that others may have tried to help you solve your problems. In most cases, Chiropractors will first takes 3D upper cervical 3D x-rays to assess the precise direction and angulation of the problem. Usually the top two bones have slid out of alignment in one direction, pulling the attached muscles and TMJ out of alignment. Chiropractic care then usually involves calculating the necessary angles and vectors needed to gently nudge those two vertebrae back into their proper positions. Depending on each individual person’s case, this may take several treatments. Over time your muscles adapt to new circumstances, even bad ones, so re-positioning the bones means re-training the muscles. Fortunately, this treatment is finite and effective—and for patients in severe pain, it’s life-changing.